Welcome to Baja Weather! What’s the purpose of baja-weather.com? It is a free website that delivers weather forecasts for the southern Baja Peninsula via a website, WAP, RSS and e-mail. Plain and simple: Baja California Sur weather forecasts at the tip of your fingers! 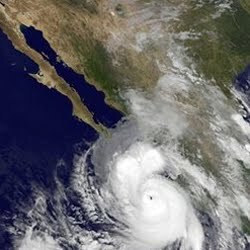 Severe weather warnings, hurricane updates, (almost) live reports on weather conditions in Cabo San Lucas, La Paz, Todos Santos, Loreto and Mulege. A website for Baja residents developed by Baja residents. This the key for Baja Information that is important, like the current Baja Sur weather - we share the information we gather for us. Get all available Baja California Sur weather feeds at one page - visit our RSS feed bundle page here and find all relevant Baja California Sur locations with the weather forecasts available on the net. The selection on this RSS weather feeds for Mexico Baja Weather will change based on availability. 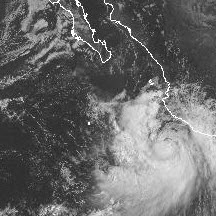 This is most like the best and fastest Baja hurricane and BCS storm information you can get in cases of severe clima on the Baja Peninsula. You can also "make" your own weather with a professional weather station that allows you to monitor your weather conditions with the brilliant, easy-to-read LCD color display. We use such gadget in addition to the other sources we using. You can have this item delivered to your Baja address, installation and set-up is fairly easy. Experience the convenience of having your personal weather information with you on the go using your computer, tablet, or mobile device. Click the image for more information.